Claus Nordbruch was born in 1961 and he grew up in West Germany and Austria. His father came from Thuringia and his mother from Vienna. He does not belong to any political party nor is he tied to any religious confession. From 1982 to 1986 he served as infantryman (Panzergrenadier) in the German Bundeswehr, leaving the force as second-lieutenant. In 1986 he immigrated to South Africa. Long before the outbreak of the Second World War, and certainly long before the outcome of this European slaughter of brothers was foreseeable, the victors-to-be and their hangers-on had made plans for the disposition of Germany that contained fundamental violations of the Law of Nations. In addition to demilitarization and de-nazification projects there were plans for the destruction or expulsion of Germans from territories they have had inhabited for many centuries. For example, the expulsion of three and a half million of the Sudeten Germans was proposed in December 1938 by later Czechoslovakian president Edvard Beneš, that is, nearly a year before the official outbreak of the war – and he was not the first to make the proposal. During the Pan Slavic Congress held in Prague in 1848 the decision was taken that not only Sudeten Germans, but all ethnic Germans east of the line Triest-Stettin should be driven out. In summer 1917 Beneš and later president Minister-President Kramář gave the Allies a memorandum in which they demanded the dismemberment of Germany and the incorporation of large territories of the German Empire and Austria-Hungary in the Czechoslovakia that was to be formed. After the signing of the dictate called the "Versailles Treaty," nationalistic Czech and pan Slavic statements and demands were politically prominent; unfortunately there is not space here to discuss that subject in detail. However, these demands were all more or less fanatically fixed on the expulsion of the Sudeten Germans. We should add to this remarkable announcement that it has been shown that the Czech exile government under Beneš worked single-mindedly for ethnic cleansing in what was to be a newly formed Czech Republic, and that this has been carried out in a manner disregarding human rights and against the Law of Nations, as will be shown below. The overwhelming motivation of the Germans to fight for final victory was driven not least by the constantly repeated threats of the Allies to inflict certain measures on Germany and the German people when they had achieved victory. On February 23, 1944, in a debate in the House of Commons, British Foreign Minister Anthony Eden confirmed that Germany could not claim to be treated according to the Atlantic Charter, i.e. that it could not prevent the victorious powers from making territorial 'corrections' on Germany's expense. Thus, according to Eden, Germany could not claim rights based on any part of the Charter which would not be applicable for Germany. On April 22, 1944, Churchill confirmed the questionable intention that no treaty and no commitment would bind the Allies once Germany had surrendered. Churchill insisted that the Atlantic Charter would not be a legal basis for the treatment of Germany and that territorial changes and corrections of borders could not be excluded. No arguments would be accepted, so Churchill. According to him, unconditional surrender meant that the victors had their hands free to act as they please. Grant us victory over the tyrants who would enslave all free men and nations. Grant us faith and understanding to cherish all those who fight for freedom as if they were our brothers. Grant us brotherhood in hope and union, not only for the space of this bitter war, bur for the days to come which shall and must unite all the children of the earth. Yet most of all grant us brotherhood, not only for this day but for all our years – a brotherhood, not only of words but of acts and deeds. We are all of us children of earth – grant us that simple knowledge. If our brothers are oppressed, then we are oppressed. If they hunger we hunger. If their freedom is taken away our freedom is not secure. Grant us a common faith that man shall know bread and peace – that he shall know justice and righteousness, freedom and security, an equal opportunity and an equal chance to do his best, not only in our own lands, but throughout the world. And in that faith let us march toward to the clean world our hands can make. Amen." "Germans are not human. [...] If in the course of one day you have not killed at least one German, for you it was a lost day. When you have killed one German, kill another – for us there is nothing more jolly than German bodies." "There is no mercy – for anyone. [...] It is unnecessary to demand from soldiers of the Red Army to show mercy. They blaze with hate and desire for revenge." "What should be done to ensure the soldier keeps up his spirit for fighting. First, he must hate the enemy like the plague, must want to annihilate him root and branch [...] second [...] when he gets to Germany everything belongs to him – the bits and pieces, the women, all! Do whatever you wish." Both the soldiers of the German army and the German civilian population suffered from such behavior on the part of the soldiers of the Red Army. The outrages were not isolated incidents, but were mass crimes known to the highest authority, and collectively would later qualify as one of the greatest mass crimes of modern times." "They are all guilty – punish them." According to Morgenthau's scheme, Germany should be not only totally disarmed, but its entire industrial base should be dismantled or destroyed. The mines and coal works should be flooded. With respect to reparations, Morgenthau had detailed plans: they should be accomplished less through payments and transfer of goods than through surrender of German mineral and other physical resources, in particular by the restitution of property, which the Germans had plundered from the occupied territories, cession of German territory and German private property rights in industries to the countries she had invaded, by transfer and redistribution of industrial facilities and equipment, by forced labor of German workers in foreign countries, and by confiscation of all German landed property of any kind outside of Germany. US President Roosevelt shared Morgenthau's conception of the German collective guilt for war and his belief that Germany should be handled in the harshest manner following the war. 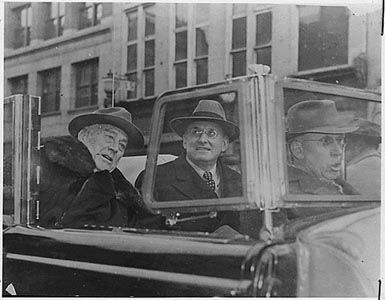 So it should be no surprise that during the second conference held in Quebec in September 1944, Morgenthau's plans for the devastation of the heart of Europe were recognized by Roosevelt and Churchill as the official program to be imposed on post-war Germany, or that Morgenthau could write self-satisfiedly on page xii of his book Germany is our Problem that the fundamental principles of this program represent the official viewpoint of the United States. As the Americans completed their military crusade on German land in spring 1945, Washington communicated to its highest military commanders in Europe special political directives applying to the occupation. The harsh regulations set out in directive JCS 1067, which dates to the middle of 1947, were derived from the Morgenthau Plan. However, the Americans renounced the complete destruction of German industry – it should be kept running at a minimum level, to avoid epidemics and rebellion – and refrained from flooding the mines, but they went forward with industrial deconstruction and intellectual expropriation, and also demilitarization, de-nazification and the decentralization of Germany as the framework of their policy. The regulations of directive JCS 1067 were thus essentially the same as those in the Morgenthau Plan, which was written to deal with Germany as the bringer of war. Britain's "The Saturday Review," Nov. 11, 1897, p. 279: "Germaniam esse delendam" – Germany must be destroyed. (Cf. Steffen Werner, "Hundred Years of War against Germany," "The Revisionist," 1(4) (2003), pp. 373-385; click to enlarge). 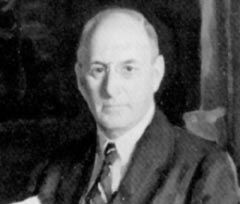 The guidelines for the American occupation policy held close to the Morgenthau Plan. 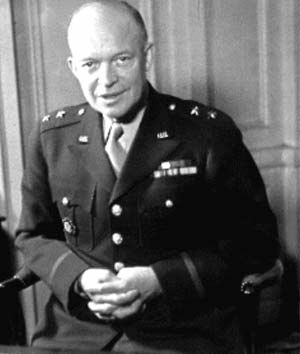 Eisenhower, in his book with the significant title Crusade in Europe, expressed pride that the officers of the American military government, because of the sincerity and intelligence and the soundness of the special training which they displayed in carrying out their duties with respect to the measures prescribed in directive JCS 1067, had done a remarkable job. University professor Nicholas Balabkins, not a Germanophile, conceded that the directives had been the official version of the Morgenthau Plan, albeit in a somewhat diluted form. On the contrary, some post-war German historians have stubbornly tried to deny the immense influence of the Morgenthau Plan to Allied measures. One of them, Rolf Steininger, professor of history at the University of Innsbruck, wrote – without irony – that the Morgenthau Plan would be granted an overestimated prominent place in historiography, especially with respect to the subjects of dismemberment and the future economy of Germany. In fact, the Morgenthau Plan, "during the war, constituted the high point of the planning for peace of the Western powers, both in public as well as in official circles." The Morgenthau Plan was the basis of all further planning with respect to Germany, and even the Soviet plans on the same subject did not deviate in essentials from JCS 1067. Both were based on the mutilation and dismemberment of Germany, the (temporary) starvation of the German people, the deconstruction of German industry and the economic disablement of Germany in order to neutralize Germany as a political force for a long time to come and to improve and fortify their own political and economic positions. By such theories and projects, which could only have sprung from a diseased mind and which deviate from any civilized or humane norm, the war-makers of the West did not differ essentially from Ilya Ehrenburg and the other fanatic murder inciters of the Soviet Union. They all sprang from the same source and were commonly responsible for the horrors inflicted on Germany. The specific choice of words may have varied from propagandist to propagandist, from war-profiteer to war-profiteer, from pressure group to pressure group. In their purpose to perish and to erase the heart of Europe, they did not differ at all. First published in German in Vierteljahreshefte für freie Geschichtsforschung 5(1) (2001), pp. 55-65; translated by Peter Lambda. Cf. Hanns Hertl and others (ed. ), Der "Brünner Todesmarsch" 1945. Eine Dokumentation, Stenzel und Bauer, Schwäbisch Gmünd 1998, pp. 15ff. For a thorough analysis of the subject please consult Claus Nordbruch, Der deutsche Aderlaß. Wiedergutmachung für Deutschland und Entschädigung an Deutschen, 2nd edition, Tübingen 2003. Hanns Hertl and others (ed. ), op. cit. (note 1), p. 26. Cited in ibid., p. 189. Cf. Wolfgang Wagner, Die Entstehung der Oder-Neiße-Linie in den diplomatischen Verhandlungen während des Zweiten Weltkrieges, 2nd, revised and expanded edition, Brentano, Stuttgart 1959, pp. 6. 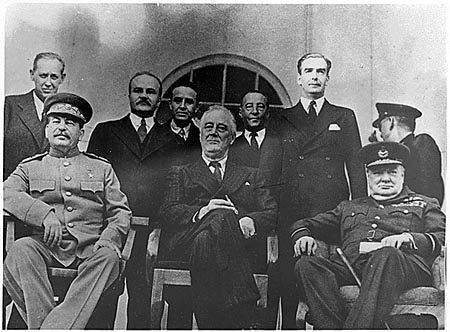 The Tehran, Yalta & Potsdam Conferences. Documents, Progress Publishers, Moscow 1969, p. 48. Cited in Herbert Feis, Churchill, Roosevelt, Stalin. The war they waged and the peace they sought, Princeton University Press, Princeton New Jersey 1967, p. 109. Cited in Franz Kurowski, "Von der bedingungslosen Kapitulation bis zur Mondorfer Erklärung vom 6. Juni 1945" in: Gesellschaft für Freie Publizistik (ed. ), Jalta und Potsdam überwinden. Kongreß-Protokoll 1985, GfP, Berg 1985, p. 22. Cf. Tom Bower, Verschwörung Paperclip. NS-Wissenschaftler im Dienst der Siegermächte, List, Munich 1988, p. 108. Herbert Marzian, Zeittafel und Dokumente zur Oder-Neiße-Linie 1939-1952/53, Holzner, Kitzingen 1953, p. 18. Cited in Franz Kurowski, op. cit. (note 10), p. 10. Cited in Caspar von Schrenck-Notzing, Charakterwäsche. Die Politik der amerikanischen Umerziehung, Kristall bei Langen-Müller, Munich 1981, p. 68. Cited in The Tehran, Yalta and Potsdam Conferences. Documents, op. cit., (note 6), p. 50. That this was no idle joke, as some current historians have suggested, is shown by, for example, the document published in 1961 by the United States State Department, Foreign Relations of the United States: Diplomatic Papers: The Conference at Cairo and Tehran 1943, which states on page 553: "At least 50,000, perhaps 100,000 of German Commanding Staff must be physically liquidated." See also Michael Balfour and John Mair, Four-Power Control in Germany and Austria 1945-1946. Oxford University Press, London 1956, p. 35, Hanns D. Ahrens, Demontage, Universitas, Munich 1982, p. 19, and Heinz Nawratil, Vertreibungsverbrechen an Deutschen. Tatbestand, Motive, Bewältigung, Ullstein, Frankfurt am Main/Berlin 1987, p. 124. Even the official Guidebook on the Exhibition on German and Soviet Prisoners of War of the House of History of the Federal Republic of Germany acknowledges the figure of 50,000 as valid. (cf. p. 77). Cf. James Bacque, Other Losses. An Investigation into the Mass Deaths of German Prisoners at the Hands of the French and Americans after World War II, Stoddart, Toronto 1989, p. 23. Cited in The Tehran, Yalta & Potsdam Conferences, op. cit. (note 6), p. 70. Cited in ibid., p. 71. Claus Nordbruch, Über die Pflicht. Eine Analyse des Werkes von Siegfried Lenz. Versuch über ein deutsches Phänomen, Olms, Hildesheim 1996, pp. 159. There are lengthy quotation from, and reproductions of, the hate tirades of Ilya Ehrenburg in Joachim Hoffmann, Stalin's War of Extermination 1941-1945, Theses & Dissertations Press, Capshaw, AL, 2001. In 1991 many West German journalists and politicians took the questionable opportunity to honor Ilya Ehrenburg on the occasion of his 100th birthday anniversary – whether from ignorance, malevolence or deliberate intent to misinform we will not examine now. When an exhibition appeared in Berlin-Schöneberg on "The Russians in Schöneberg" the CDU faction in the district representative assembly there made a motion to praise Ehrenburg's "work" and to foster the memory of this "journalist and writer." Leading journals of opinion were not to be outdone in this outpouring of praise and, for example, noted Ehrenburg's "effervescent joy in writing," glorified him as a "master of satire," and admired his "grandiose panoramic descriptions." Bundesarchiv, Ost-Dok. 2, Nr. 43/30ff. Pocket Guide to Germany, U.S. Government Printing Office 1944, pp. 7, 15, 28. Cited in Michael Balfour and John Mair, Four-Power Control in Germany and Austria 1945-1946, Oxford University Press, London 1956, p. 34. Theodore Kaufman, Germany must persish!, Argyle Press, Newark, pp. 1, 3, 94f. Rolf Steininger: Deutsche Geschichte 1945-1961. vol. 1, Fischer, Frankfurt/M. 1983, p. 34. Henry Morgenthau in his diary entry on 19 August 1944, cited in David Irving, Der Morgenthau-Plan 1944/45. Amerikanische Deutschlandpolitik: Sühneleistungen, "re-education," Auflösung der deutschen Wirtschaft, Soyka, Bremen 1986, p. 23. Cf. 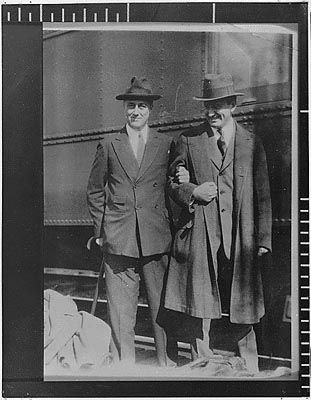 Michael Balfour and John Mair, op. cit. (note 23), p. 19. Cf. Helmuth K.G. Rönnefarth and Heinrich Euler (ed. ), Konferenzen und Verträge, 2nd ed., v. 4: "Neueste Zeit 1914-1959," Ploetz, Würzburg 1959, pp. 231. Cf. Nicholas Balabkins, Germany under direct controls. Economic aspects of industrial disarmament 1945-1948, Rutgers, New Brunswick 1964, p. 10. Hajo Holborn, American Military Government. Its Organization and Policies, Infantry Journal Press, Washington 1947, p. 159. Cf. 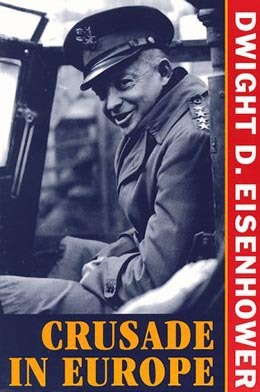 Dwight D. Eisenhower, Crusade in Europe, Doubleday, New York 1948, p. 434. Cf. Nicholas Balabkins, op. cit. (note 31), p. 14. Rolf Steininger, op. cit. (note 27), p. 34. Wilhelm Treue, Die Demontagepolitik der Westmächte nach dem Zweiten Weltkrieg, Niedersächsische Landeszentrale für Politische Bildung, Hannover 1967, p. 22. First posted on CODOH: July 15, 2012, 7 p.m.